What do Donald Trump’s tweets reveal about the man who, on 20 January, will be America’s next president? Will he continue to use what he has called his "beautiful Twitter” account to tell the world what he is thinking - and doing? A history of how the White House and the press corps learned how to live with each other. In 1897, when President McKinley was sworn in, there was no working relationship between the office of the US President and the members of the press. McKinley became the first president to allow press briefings, let the reporters into the Oval office and harness the power of the newspapers to affect public opinion. President Woodrow Wilson treated the press like schoolboys and chatted to them while having his morning shave, but his presidency did establish the principle that journalists could routinely question their country’s leader. The first televised press conference was with JFK in 1961 and now they are a key part of any US president's relationship with the people who voted for him, with President Obama widening the meaning of the “press” to include Reddit, Google Hangouts and evening chat shows. As President-elect Donald Trump prepares to move into The White House, we consider how the presidential relationship with the press will change, given his avowed contempt for aspects of the “Fourth Estate”. Our Washington correspondent Jon Sopel - no stranger to a presidential press conference - looks at the history of the connection between the US president and the press over more than 100 years and speculates on how it is set to change. A moving human story. If you listen to just one thing today, make it this one. In 2008 Chloe Hadjimatheou was covering Barack Obama's first election campaign when she met a 15-year-old black boy in a Mississippi trailer park. Back then the young Tobias was full of potential and had big dreams of becoming a policeman. "He really made an impression on me when I met him eight years ago. He just seemed like such a smart young man and I was just curious to see what happened to him... I was hoping good things for him." Eight years later, Chloe goes in search of him to find what became of him. Did Tobias ever fulfil his wishes? 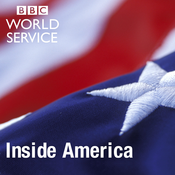 Katty Kay explores the key moments and turning points in the US election campaigns and hears why Trump supporters in the key swing states such as Pennsylvania were so motivated to vote for Trump. Weeks before, in the run up to the first Presidential debate, polls indicated that the candidates were neck and neck. Then the momentum of the campaign changed, with Donald Trump rocked by the leaked tape of his lewd comments and repudiation by some Republicans. Following an astonishing second debate, Trump fought to keep his campaign on the road, returning to the tactics which had originally secured his nomination, firing up his core support with anti-Washington rhetoric and increasingly bitter attacks on Hillary Clinton. For Hillary Clinton, lingering doubts remained in voters’ minds about her trustworthiness, clouding her bid to become the first woman president, and Donald Trump is now President elect of the United States. 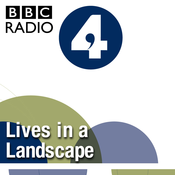 This podcast is from the BBC World Service programme The Documentary. 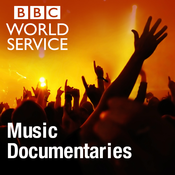 For more like to go to www.bbcworldservice.com/documentary or search for The Documentary in your favourite podcast catcher. Donald Trump predicted that if he won the votes of America's evangelical Christians he would win the election, and he was right. A quarter of all voters count themselves as evangelical and 81% of them voted for Trump, despite the deep misgivings and public disagreements among Christian leaders over whether their conscience would allow them to endorse him. Jane Little speaks to four leading evangelical leaders about how they define evangelical Christianity, their hopes and misgivings for the Trump presidency, what role Christian teachings will now play in shaping the country and whether we are in a new era for the religious right in the United States. Presented by Jane Little, produced by Claire Press and Richard McIlroy.